Fifty years ago in space history — August 7, 1959 — the Explorer-6 satellite launched from Cape Canaveral on a Thor Able rocket. 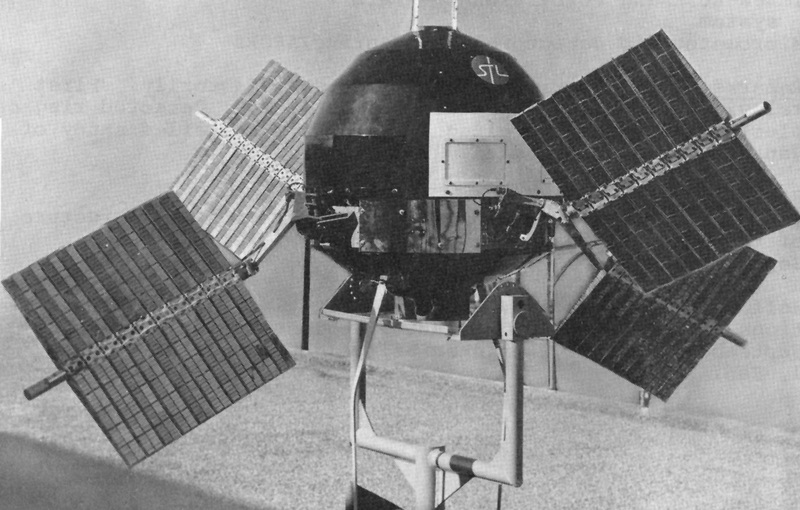 Explorer-6 was small and spheroidal, with four solar array “paddles,” and was launched to study space radiation, cosmic rays, and other phenomena. It also carried “a scanning device designed for photographing the earth’s cloud cover,” according to this NASA page, and sent back the first crude television images of earth from space. And 40 years ago today — on August 7, 1969 — the Soviet Union launched the Zond-7 circumlunar spacecraft from Baikonur on a Proton-K* rocket. Zond-7 performed a lunar flyby on August 11 and returned to earth on August 14, carrying color photographs it had taken of the Earth and the Moon. We’ve come a long way in terms of imaging technology, with the new Kepler space observatory having “captured the light of a gas giant orbiting a star over a thousand light years away.” From the Spaceflight Now story, “Kepler [was] able to detect the light of the gas giant, determine its phases and know when it had vanished from view behind its sun.” Here’s an animation showing the light curve Kepler detected and its interpretation. *It amazes me that the Proton rocket is still operating out of the Baikonur Cosmodrome, and I’m thankful that I got to see those operations.